Brad's was inspired by this card by Laurie Wilson. 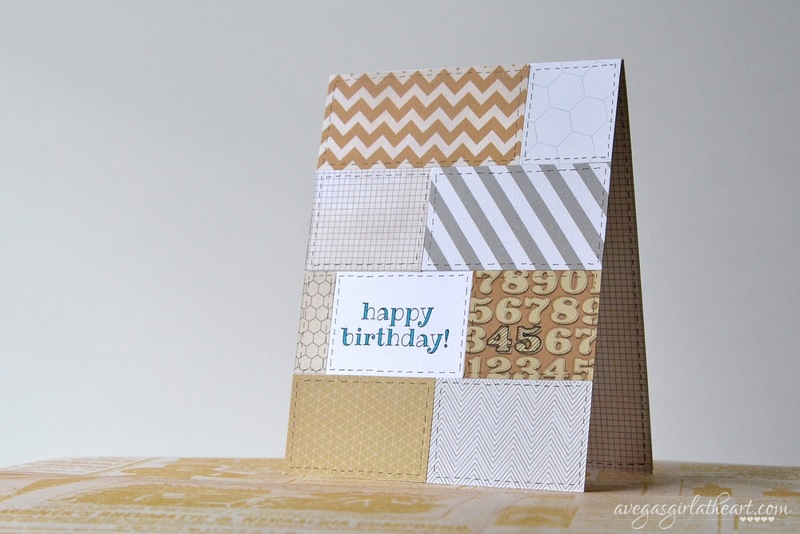 I used the Studio Calico Classic Calico 6x6 paper pad, and the Stampin' Up! So Very Happy stamp set. I used a Stampin' Up! Tempting Turquoise marker to color in the image, and then used a Micron pen to highlight the "45" in the patterned paper and add hand drawn stitching around the inside of each rectangle. Summer's card was inspired by this one by Amy Bollman. I used Stampin' Up! Smoky Slate card stock and embossed it with the Decorative Dots folder. The patterned paper is from the My Mind's Eye Just Splendid 6x6 paper stack. Under the larger piece of patterned paper I punched a notebook border using an EK Success border punch. I die cut a 3x4 card for the front using the Lawn Fawn Stitched Journaling Card die, and stamped balloons and a sentiment. 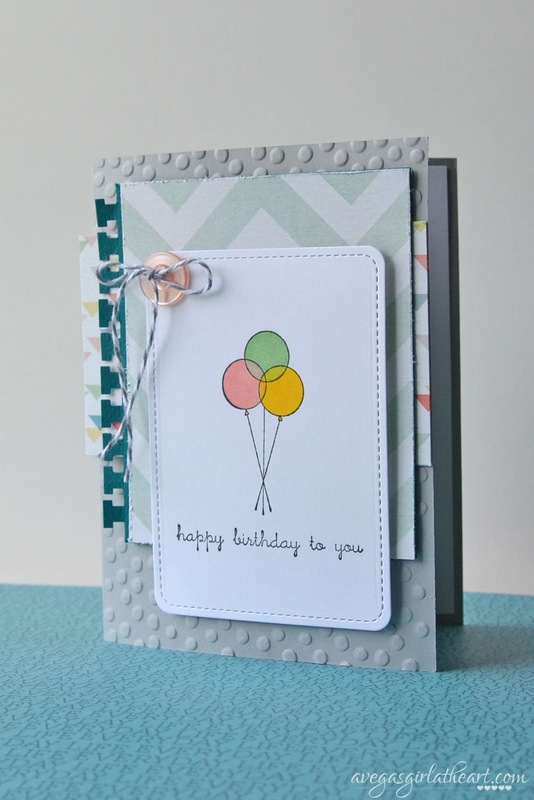 The balloons are from Memory Box, and the "happy birthday to you" stamp is from Savvy Stamps. Then I just colored in the balloons with my Copic markers. Finally I added a button and tied some gray baker's twine through it. I'm excited to give these to them next week!